In the footage, the bear looks content to wander through the home before moving to the piano to tickle the ivories. "The chords captured on video were unbearable and the tune was equally grizzly," the police department said in a statement reported by the Denver Post. 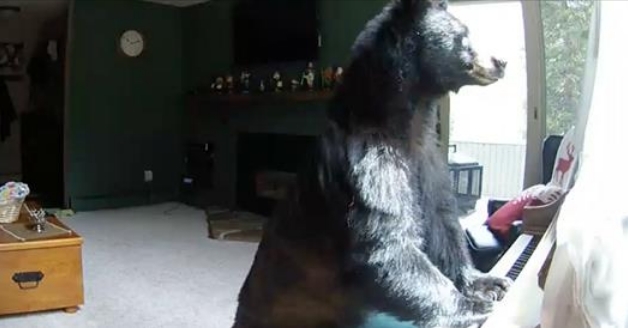 Responses to "Bear breaks into home and 'plays' piano, steals food from freezer"
Omg! I can't bear to listen to it's music!